Marine Corps Captain in Dress Blue Uniform. 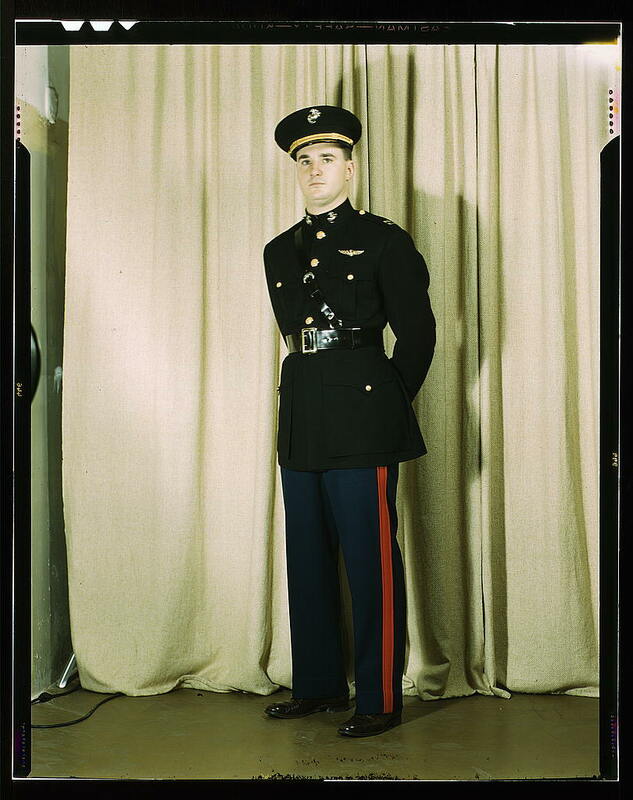 Marine Corps Major in summer uniform. 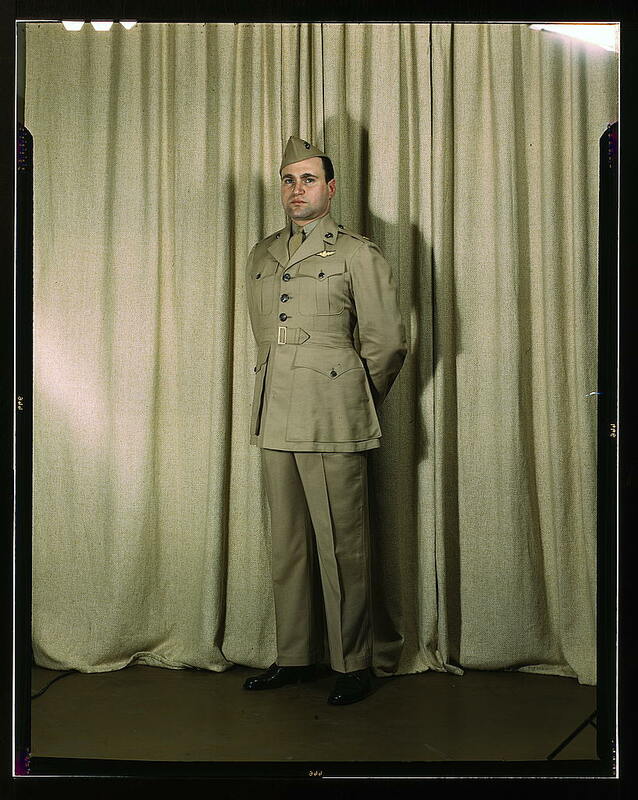 Marine Corps Major in another version of summer uniform. Marine Major in Dress White Uniform. 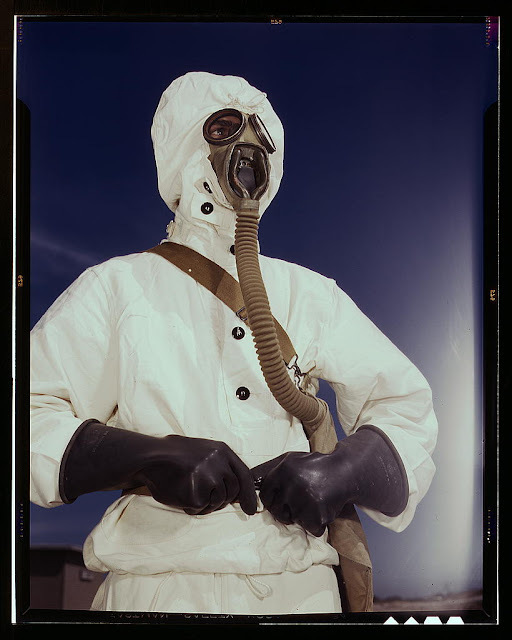 This Sailor is wearing protective gear with gas mask, August 1942. 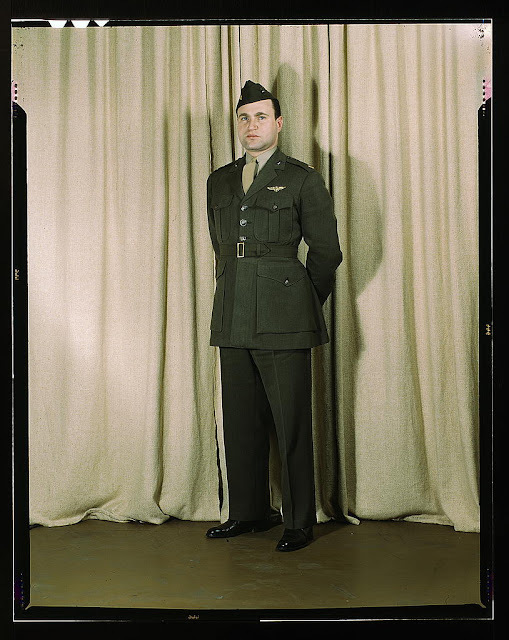 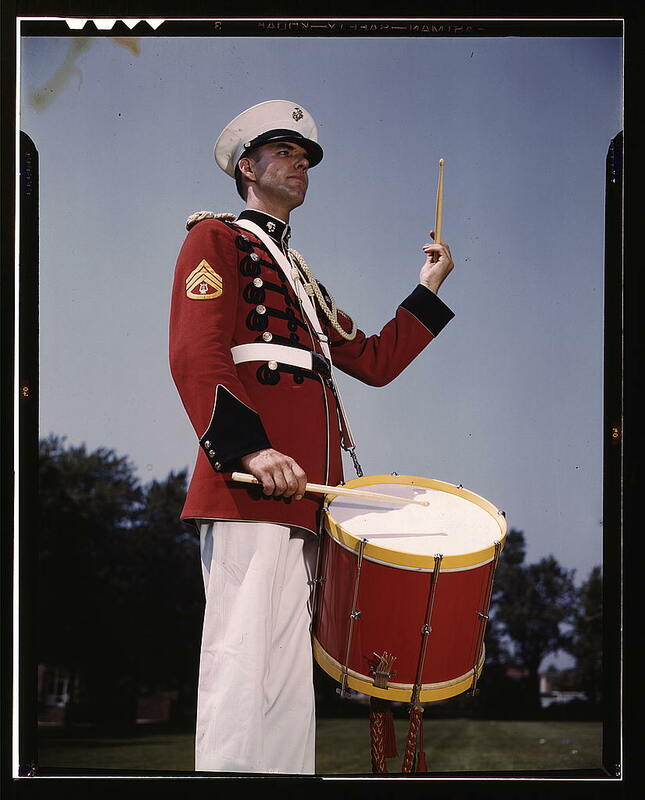 Drummer in Marine Band Uniform, May 1942. 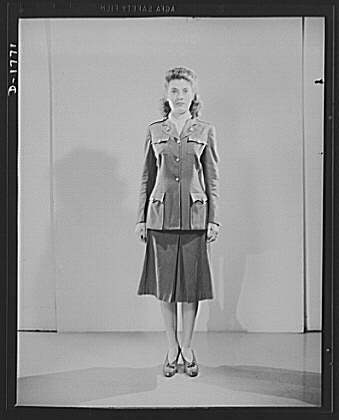 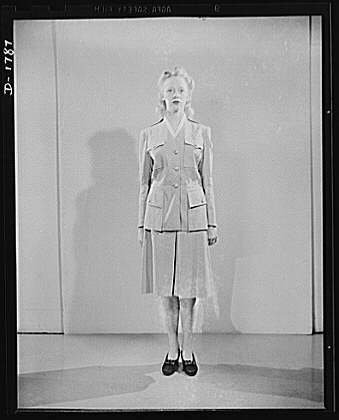 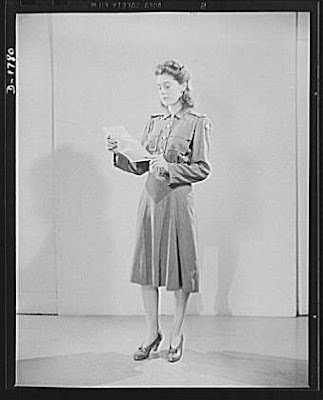 This woman is wearing a WAVES (Women Auxiliary Volunteer Service) uniform. 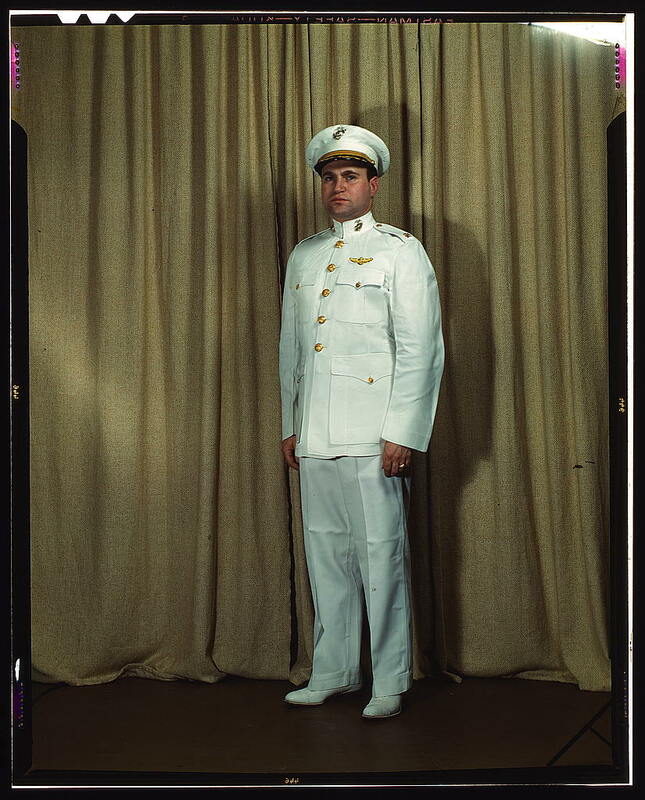 United States Radioman, first class, in summer white service dress. 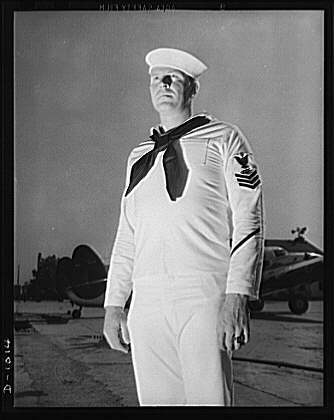 August 21, 1941. 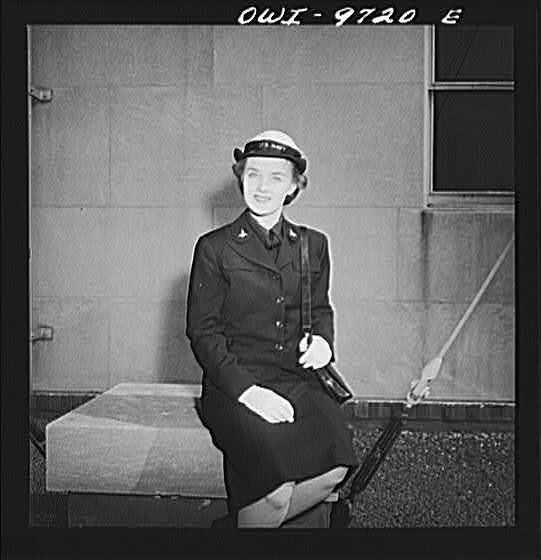 This woman is in Winter parade uniform, with Motor Corps Insignia. 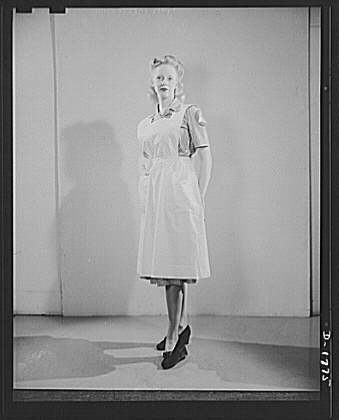 This woman is wearing Hospital Assistant civil defense uniform. This woman is wearing the Office Indoor Staff Civil Defense Uniform. 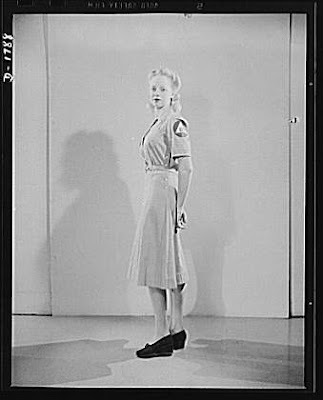 This woman is wearing the civil defense summer parade uniform, with messenger's insignia. This woman is wearing the Civil Defense Canteen workers uniform.